About UG PET: UG PET is a University Level Entrance Exam conducted by MIT World Peace University [MIT-WPU] for admission into various undergraduate courses in the field of Liberal Arts, Science, and Commerce. Conducting Body: UG PET is conducted by MIT World Peace University. Level: UG PET is a University Level Entrance Exam conducted for admission into the field of Liberal Arts, Science, and Commerce. Exam Mode & Date: The UG PET will be conducted Offline i.e. Pen & Paper-based Test (PBT) from 25th May 2019 to 31st May 2019. Courses Offered: Through UG PET aspirants can get admission into various undergraduate courses in the field of Liberal Arts, Science, and Commerce in the MIT World Peace University. Registration: Application Form will be available on the official website of MIT World Peace University from 5th April 2019 and the last date to submit the Application Form will be on 21st May 2019. Admit Card: The Admit Card will be released online for all the aspirants on 22nd May 2019. Examination: UG PET 2019 will be conducted offline i.e. Pen & Paper-based Test (PBT) on 25th May 2019 to 31st May 2019. Results: Results will be declared on the official website for all category candidates based on qualified marks on 10th June 2019. Educational Qualification: The candidates must have completed 10+2 examination in any stream from a recognized Board of Education (or) Candidates must have passed three years Diploma conducted by BTE, Maharashtra after SSC (or) Passed its equivalent examination. Age Limit: There is no specific age limit to appear for UG PET. Final Exam: The candidates who are going to appear for the final exam are also eligible to apply for UG PET 2019. Registration Date: Application Form will be available on the official website of MIT World Peace University from 5th April 2019 and the last date to submit the Application Form will be on 21st May 2019. Registration Fee: Candidates should pay the registration fee of INR 1000 (Non-Refundable) through Credit Cards/ Debit Cards/ Net Banking. Upload Documents: Candidates should upload the recently took passport size photograph while filling the UG PET 2019 Application Form. Note: Interested candidates have to submit Online Application three days prior to respective Entrance Test day. Exam Centres: UG PET 2019 is conducted in 15 major cities across India. Timing: All the candidates have to be present 30 minutes before the exam time in their respective exam centres. Mode: UG PET 2019 will be conducted offline i.e. Pen & Paper-based Test (PBT) on 25th May 2019 to 31st May 2019. Duration: The time given to complete the examination will be 1 hour i.e. 60 minutes. Note: For BA (Mass Media) & BA (Film Studies) Personal interview of 50 Marks will be conducted along with entrance test on the same day of the UG PET. Syllabus: The syllabus for UG PET will be decided by the conducting authority i.e. MIT World Peace University for every year. Subjects: The UG PET 2019 Syllabus comprises of topics such as General Knowledge, Logical Reasoning & Aptitude, Basic Mathematics, and English. Reference Books: Candidates can refer to the books which are prescribed by the conducting authority or the referred by the previous year topper students. Download: Candidates can download their scorecard from the official website once the results have been published for future purpose. Score Validity: UG PET 2019 Score will be valid only for admission of MIT World Peace University for the academic year of 2019-20. 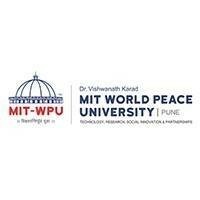 Admission: Selection/ Short listing of the candidates at MIT World Peace University (MIT-WPU) will be strictly based on merit, assessment of individual performance in the UG-PET Entrance Test. Admission Fee: To confirm admission in the university and course of their choice, candidates must pay the admission fee within the stipulated time limit.